For dancing there is no better way to get that grip during your chops than with Fancy Dancer Grip from Timber Boards. Especially if you combine this with grip on your nose and tail. A bit less grippy compared to normal griptape makes this add-on to your board ideal for fast footwork. It’s easy on the shoes, whereas normal griptape wears your shoes down rather fast. The final result will not be exactly the same as the picture above, but slightly different every time. Completely unique, every time. The Fancy Dancer Grip is a Timber Boards special product that can only be applied by us during the production stage of the board. 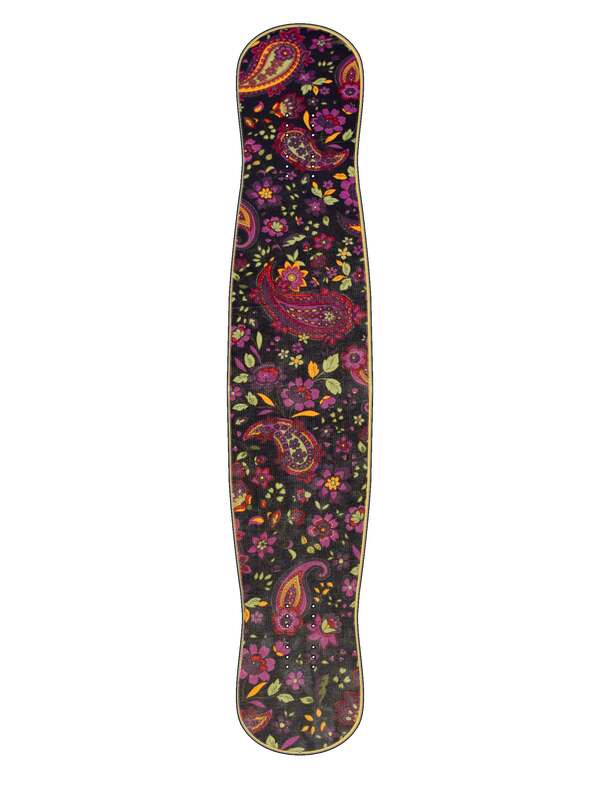 It’s only possible to buy this grip in combination with a board. We use a material which we put on the deck with a special resin that makes it last as long as your board. This is done in the early production stage and has to harden for a day or two. The grip layer is really strong and can’t be removed without using powertools. This is why we have to make it on demand, it would be impossible to keep everything in stock which is why there is a little waiting time of 1-2 weeks before a deck with Fancy Dancer Grip is shipped out. If you’re looking to save your shoes, Dancer grip is definitely the way to go man. It’s grippy enough for dancing and smooth enough so that pirouettes, cross steps, dancing steps and flip tricks don’t kill your shoes! Never looked back ever since! Do you want to save a lot of money by not buying shoes every month? It really saves your shoes, has still enough grip for freestyle tricks and it looks so damn fancy!